Neil Gibson – T Publications. We chatted about my job as an Assistant Psychologist and how I have an interest in the weirdy tales of the populace, so this sounded EXACTLY like something perfectly suited to my slightly off centre perspective on people in general. T Publications are a start-up company who ‘have a passion for good comic books’. They are a relatively small team of 5 with only two full time staff. Neil is the founder and an absolute joy to chat to. At the time of meeting Neil, I was unaware the he had quit his job as a management consultant to ‘follow his dream of creating quality comic books that adults would be proud to read’, he kindly shared his amazing story with me when I approached him about writing this feature. It was that point, that little gem in a nutshell I feel is awesome, in the true sense of the word. How many people can say they quit their job to pursue a dream, gave their all to their passion? Therein lies another facet to this brilliant work, art and backstory; not only is the team passionate, they don’t have a dream to create something brilliant, but also the focus and the drive to make it successful. Their vision is ‘to be the company responsible for making comic books a respected mainstream medium’. How flippin’ brilliant is that? 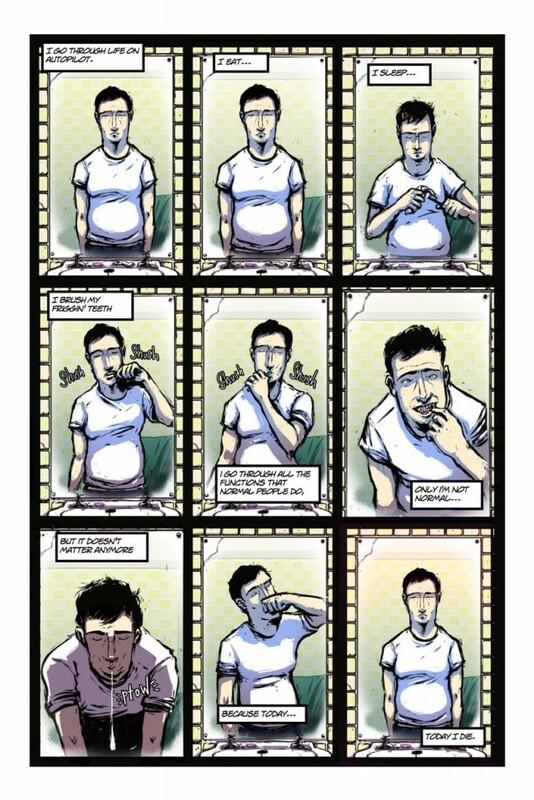 Not only do these guys write and draw some of the most unique and addictive comics I’ve ever read, but they’re up for the challenge of making this kind of insightful and awe-inspiring storytelling part of what everyone does…everyday. I don’t think that’s an unrealistic dream at all. These guys have achieved and are achieving something I know I dreamt of when I was a kid, and have often dabbled in as an adult, i can certainly say the same for my comic-loving buddies. Equally, true though, of my friends who haven’t grown up with the medium. A brilliant anecdote that still makes me smile, that I absolutely loved sharing with Neil the last time we were at the same Convention, is that of my friend Claire. I took Claire along to ***Convention***, her first ever comic-book convention. A STAR WARS fan and a general nerdy-streak, she had the potential to soar into geekdom with a little guidance from life-long fans. As we went our separate ways for an hour, we met back up to discuss our purchases. 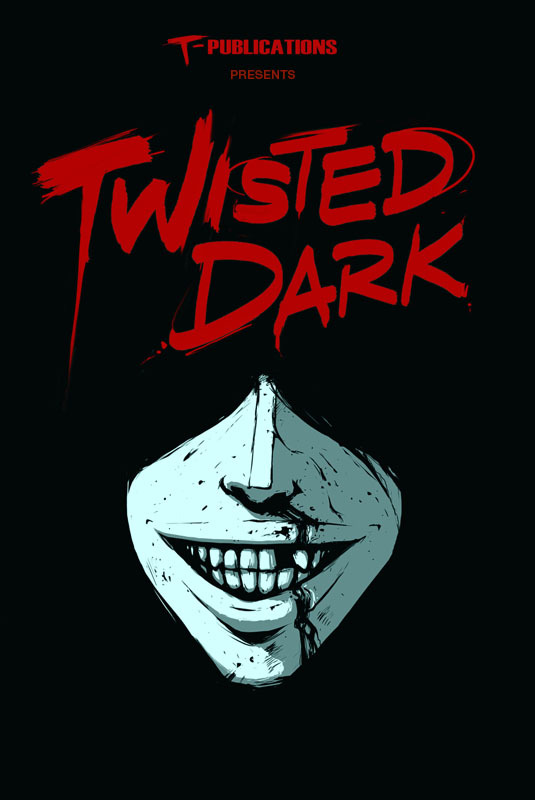 Yep, we’d both bought Twisted Dark, T Publication’s flagship title. A week later, when we caught up again, Claire and I speed-chatted about how much we loved the book. She began to ask ‘What else should I buy? What else will I like?” She attended her first con and bought her first book and that was it, Twisted Dark sucked her in. Whether you’ve been reading comics since Spider-Man when you were 7, or picked up some of the New 52’s when they relaunched. Even if you read The Thing in your teens or Locke and KEY because it was on offer on a popular internet-based book shop – there’s something about these stories that touches a nerve. They’re raw, they’re a little too close to home and they’re like nothing you’ve read before. The team have described Tabatha as ‘Our best series yet. It combines the best parts of Twisted Light and Twisted Dark with an ongoing series about a postman with a difference’. This excites me, as I’ve not yet had the pleasure of gobbling up the delights that Tabatha has to offer, and knowing there’s more from the T Publications crew that I’m yet to discover is aces! Not that I’m saving the best until last, but perhaps my favourite.Tortured Life. There’s something unique and so special about a story that can leave you with a hundred questions, some about subjects totally unrelated to what you’ve just read. When a tale can jarr you, make you second or third-guess they way you thought you felt – that’s when it’s truly great. Comics don’t just appear though, do they? Not even the superhero ones. SO much time and work goes into creating these works, especially when the entire project is self-funded. 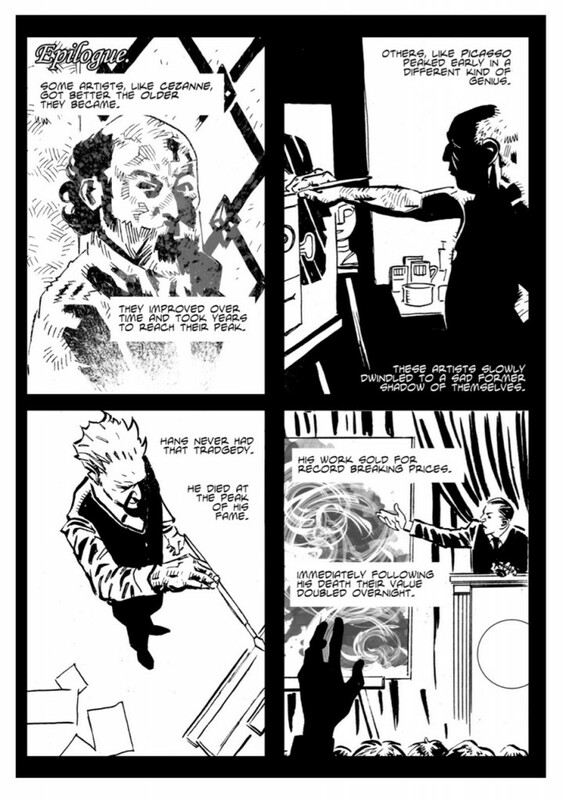 ‘Basically Neil sits is a darkened room and the artists feed him for every page he writes. When he finishes a collection, they let him out for an hour or so and then they force him back to work. Once the artists have the scripts they do their awesome work and send it back to Neil for him to do the lettering and any re-writing that is necessary’. I love this story and I bloody love the stories! The fact that this brilliant work originates from such passion and determination just makes me love them more. Anyone who doesn’t envy the brave chap who swallows his pride, bites the bullet (and other metaphors about big decisions) and plunges himself wholeheartedly into something that he loves, frankly must be made of wood. AKA: Purple Rogue/ Purple People Eater/ Diva/ Nugget etc. Lover of words. Fact and fiction. Dark and weirdy and wonderfully bizarre are the realms within which I feel most at home. A fan of peanut butter and bacon sandwiches and no stranger to cosplay (strictly NO Manga). Nearly a Psychologist and passionate about the adventures of mental meanderings - hence my general wordy splunks. Probably addicted to wearing Dr. Marten's. Borderline phobia of oranges and all their similar mates. I'm the best female Morgan Freeman impersonator in the world today. Rufus Dayglo Junko Mizuno Becky Cloonan!